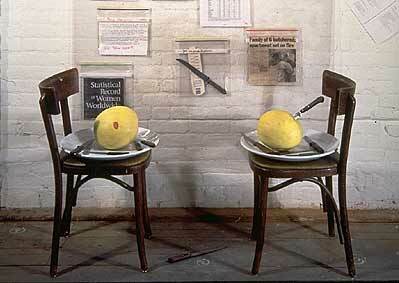 Kitchen knifes, police statistics, 2 chairs, 2 melons on plates. 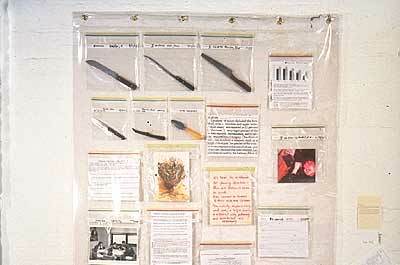 The installation invites the viewer to reflect on their own experience of domestic violence. My research concluded that most homicides and assaults were committed by family members or friends. 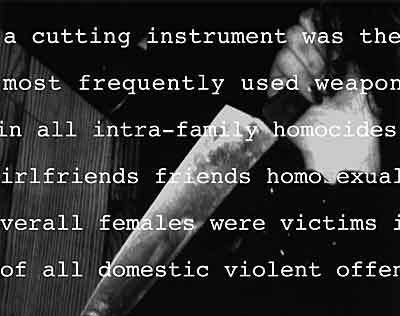 Opposite of current perception, a gun was only used as second weapon of choice, most assaults were commited with a kitchen knife.